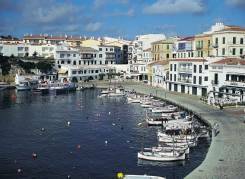 Menorca's old capital is a fascinating blend of medieval and Arab flavours, which also has a rich architectural heritage. It is well placed for exploring the island’s famous archaeological remains. 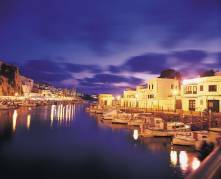 The nightlife here is centred around the restaurants and bars in the harbour area, where long lazy evening meals evolve into late nights. The city centre has a selection of intimate tapas bars that will give you a real taste of Spanish socialising. If you like to dance your nights away, there are a couple of late night discos to keep your feet tapping until the early hours. 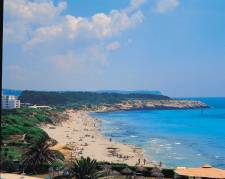 As a port-city, Ciudadella does not have any beaches of its own - the nearest is at Cala Blanca, 4km away. A little further along the north coast is Binimel-la, claimed by Minorcans to have the nicest beaches on the island. Ciudadella is renowned for is wide selection of restaurants, many specialising in seafood and paella. Some are built directly into the rock face, looking out over the sea. There's a variety of decors and ambiences ranging from a maritime theme through to modern chic. Take a walk around the town – start at its centre where a long narrow harbour is surrounded by atmospheric streets, many virtually traffic-free. Don’t miss the 14th century cathedral, the Bishop’s Palace, the convent and many other well-preserved ancient buildings. A beautiful square with an obilisque centrepiece, heavily cropped trees, palm trees, stone benches & flower beds. A Street Market is held in the square. The shoe factories on the industrial estate just outside town have their own shops – the selection is excellent. In town you'll find leatherwear, pottery and jewellery, all Minorcan specialities. A street market is located in front of the Town Hall. Package holiday transfer time is 1 hour - 1 hour 30 minutes. Local buses run regularly to nearby resorts and beaches. To explore, and to reach some of the coves and beaches, it's best to hire a car. 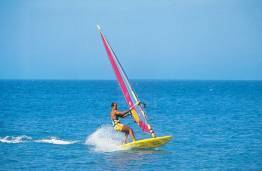 Is located near Ciutadella, has a whole range of thrilling rides and a good restaurant.